Fall is here. It was only about 15 degrees out but the sun was warm. This was fun to paint. 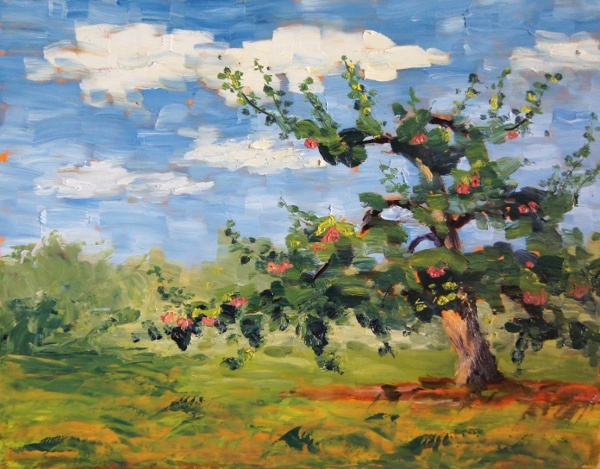 I loved the feeling of movement in the drastically pruned apple tree along with the fluffy clouds in the very blue sky. The apples looked and smelled so good that I was drooling as I painted this.